A sample of Missouri Gardener magazines, these are from my library, I use them for reference. 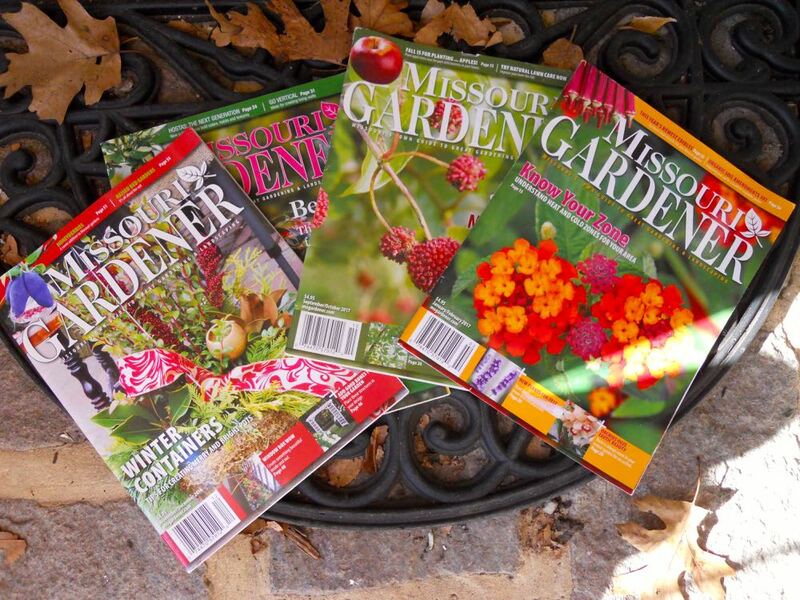 If I had only one gardening and landscaping magazine I could order, it would be Missouri Gardener magazine. 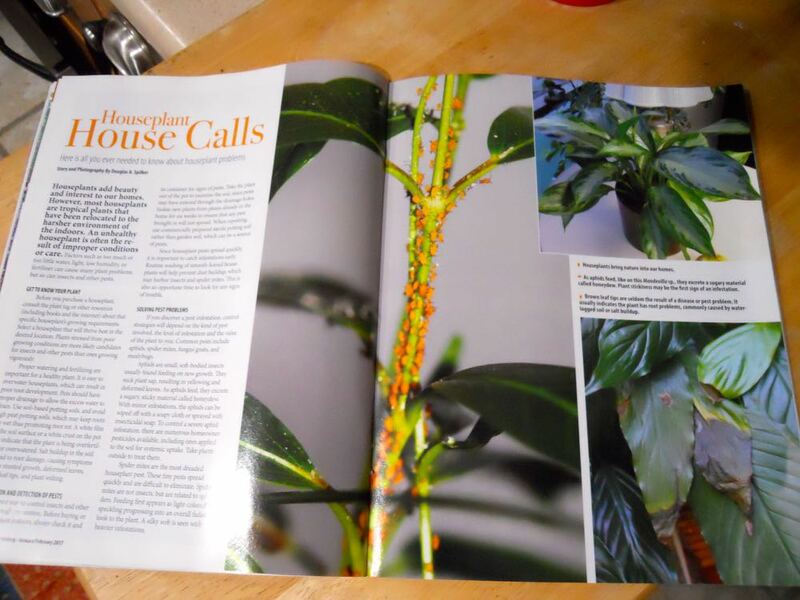 Besides what every gardener enjoys, beautiful photography, this bi-monthly publication offers a variety of information from region-specific tips to plant insect and disease identification and what I love, inspiration through features about other lovely and interesting gardens. I first became aware of this magazine in a doctor's office. I had just leafed through another waiting room staple, Birds and Blooms Magazine and was wanting something with more substance when I saw a copy of Missouri Gardener. Not only could I enjoy beautiful photography but this publication had the details I was looking for, how to plant a rock garden, ward off pests, even a recipe to cook with cilantro. I have kept all of mine handy so I can access the different seasonal information when I am doing my garden planning, and some of the feature articles are just sheer inspiration. Wondering about the USDA Hardiness zones? 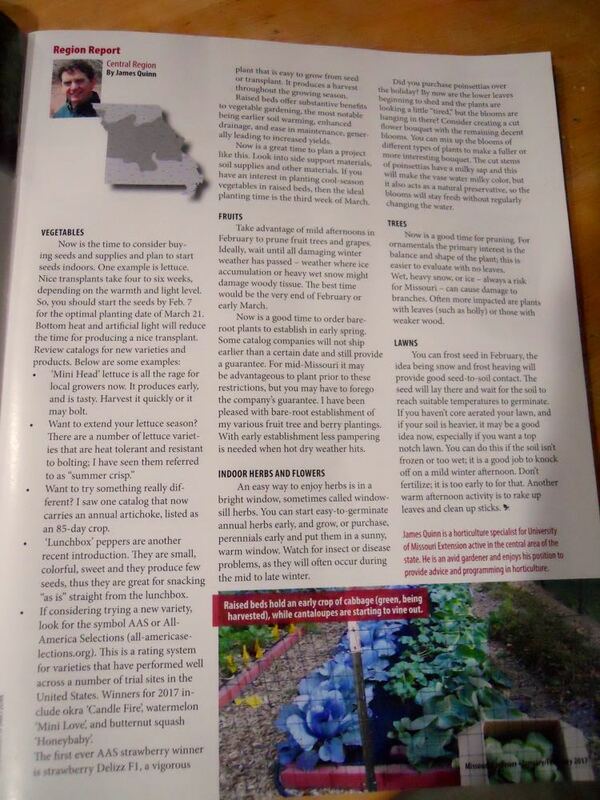 Missouri Gardener magazine explains the zones. In the January-February 2017 edition, for example, there was a good article about the US Department of Agriculture (USDA) Hardiness zones and what they mean. As someone who lives on a Missouri limestone hillside on the second highest point in the county, I was intrigued to discover USDA zone 5b dips down from Missouri's center to pull in where I live. Just looking at a map, I would never have guessed that my growing area had more in common with the northern part of the state. There are a variety of herb uses including cooking with them, this article has tips and a recipe. That same publication had an interesting article about one of my favorite herbs, Cilantro, including a pesto recipe I want to try. Now I have three recipes with cilantro to try, perfect reason to keep growing it! Love large color photographs of plant pests and diseases, makes identification so much easier. Pests can decimate the best plants so knowing how to identify them, and then what to do to discourage them, also comes in handy. Most other publications I have seen have tiny, maybe even black and white photos, which doesn't help when trying to identify tiny pests. Larger, color photographs are easier to help with pest identification and also the kind of damage one will see on the plant itself. If I can't see the bugs, the symptoms of the presence of the bugs will help me with a correct identification. James Quinn, a University of Missouri Extension horticulture expert, offers tips for my area. Throughout the glossy publication, beautiful photography as well as helpful hints. I live in the Central Region so my master gardener colleague James Quinn provides good gardening tips. Fun to talk to gardening groups around the state and collect upcoming events for this calendar. 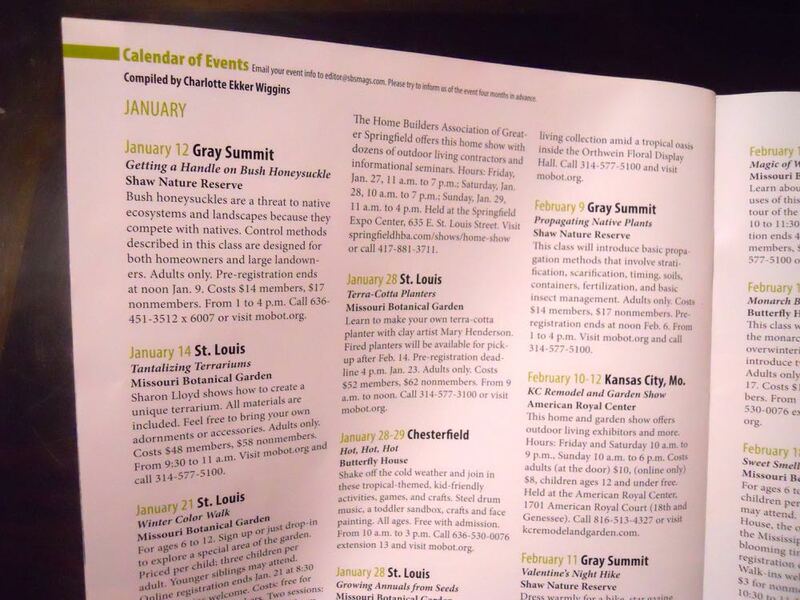 I would be remiss if I don't mention the upcoming calendar of events that is both in print and online. As the editor of that section, I spend a lot of time tracking down upcoming gardening-related activities that would be fun to attend. The deadline for this calendar is 4-6 months ahead of the publication date so if you don't see your favorite event listed, it's because the details were not available at publication time. You don't live in Missouri? 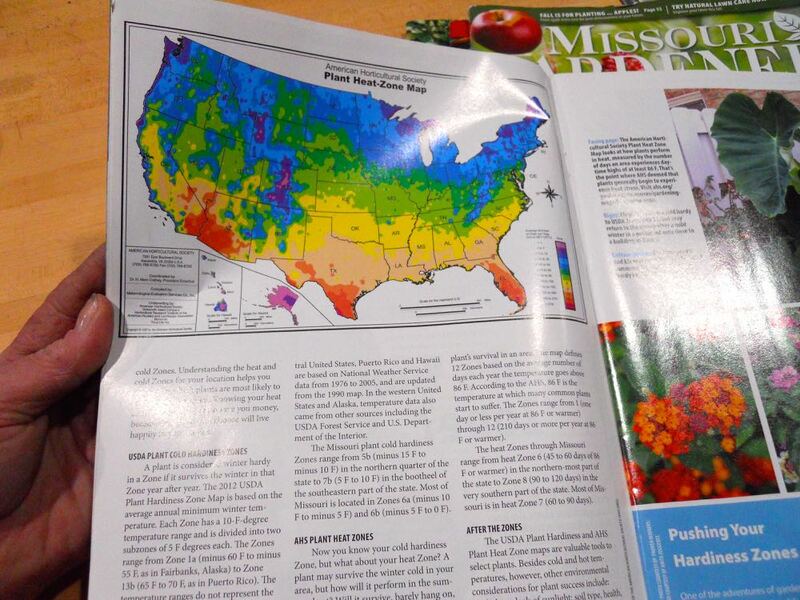 Good news, state-by-state gardening has similar publications for more than 21 other midwest and southern states. Cost for an annual subscription is $19.95. Did I mention the subscription includes a card for 10% off purchases from participating businesses? There are some other perks. By subscribing, you will get monthly enewsletters with tips and updated information. There is an online State By State Gardening bookstore with a nice selection of state-specific reference books, hard to find at least for Missouri, and mogardener.com is an online forum where you can ask questions and get access to other articles, videos, recipes and more. 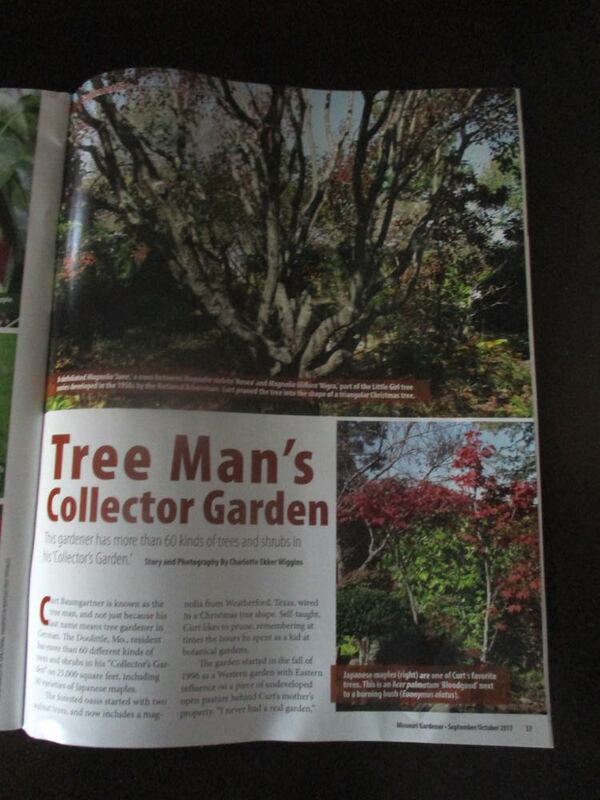 One of my feature articles in Missouri Gardener about a lovely forest garden in Newburg, Mo. I am delighted to be a contributing writer but I would subscribe even if I wasn't associated with it, it's a good resource for timely local gardening and landscaping information.